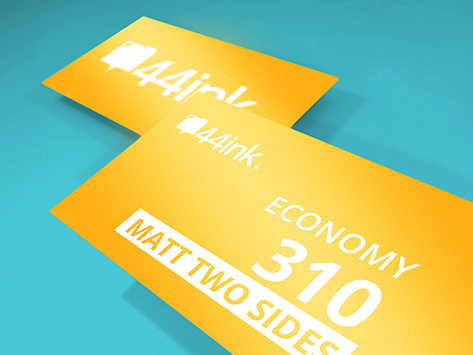 Popular Standard Uncoated Business Card. Please choose the options: Business Cards type, size, quantity, extras, double or single sided, to get an instant price. If you can't find what you are after you can click here to contact us or click here submit a quote request. You can also choose from hundreds of Free pre-design templates available for you to customise to your business. Plumbers, Electrician, Trades, Gardener, Tilers, Solicitor, Lawyers, Florist, Beauty shop, Hairdesser, Real Estate, retailer, and many more.. 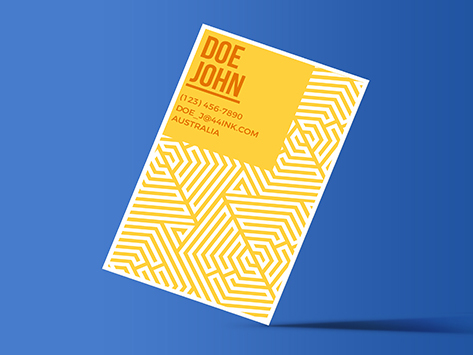 This is the cheapest business card yet still has a great quality feel, printed on classic 310gsm uncoated paper, our standard business cards combine professional quality and unbeatable value to create a great first impression for your business. 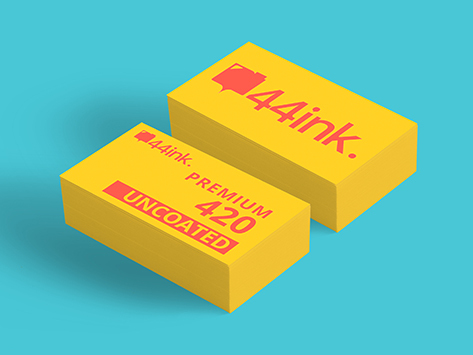 44ink offers thousands of dynamic designs for every business can use to get the best results, but our customers can also upload their own design Adobe Illustrator, or Photoshop. Our business cards are UV cured, durable prints and can be ready for dispatch in 2 - 3 days from the day you've ordered.